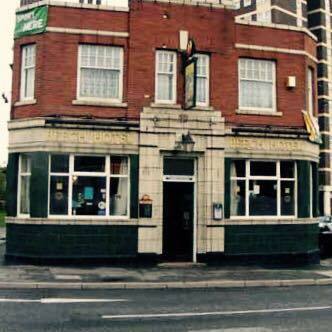 It’s been five years since regulars last supped a pint in The Beech Hotel. During that time the distinctive Grade II Listed pub stood empty, its beer pumps gathering dust, a relic from the past. But all that changed on Friday night as the crowds packed into the friendly traditional boozer at the bottom of Tong Road for its reopening. Suddenly the warm lights were on, the doors open and the beer and chatter of dozens of regulars flowing. It was like it had never been away. In these days of cheap supermarket booze and austerity, it’s heartening to hear of a pub reopening years after its doors slammed shut. As we reported in October, new landlady Jaime-Leigh Gaunt, 26, has taken on the job of restoring The Beech Hotel to its former glory. And if first impressions count, she’s done a cracking job alongside her partner, Melissa. Opening night was packed, standing room only. There was a cracking atmosphere and it was good to see a community coming together and socialising like this. There’s not much in this part of Leeds for local people, and time will show The Beech is more than just a pub. It’s a place for the community to come together, a place where they can play football, and join darts and dominoes teams, as well as listen to live music. The pub is Grade II Listed so there’s only so much you can change. 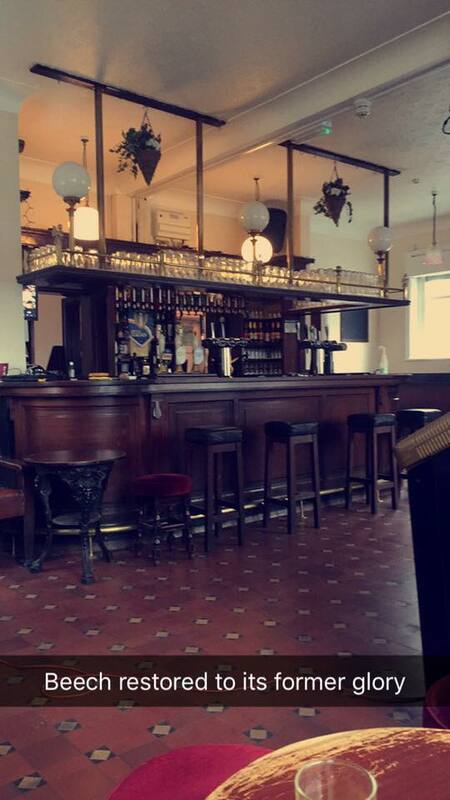 As a result the interior is comfortingly familiar to those who used to come here regularly. But it’s amazing what a lick of paint, Sky TV and a bit of a refurb can do to lift a place. It’s got a fresh, contemporary new look (and a woman’s touch) and is all the better for it. We only stayed for a pint, there was a good selection of beers and spirits. A pint of lager and half a Leeds Pale went down well. Welcome back from the dead, The Beech. Well done Jamie-Leigh and Melissa for having the vision and guts to do this. On behalf of Armley and New Wortley, it’s good to have you back.